Open all year round, we welcome all youth groups, and provide outdoor experiences for young people from all backgrounds. We have 24 campsites ranging in size from a small patrol camp to a large District or County event. With 5 buildings of varying size, we’re sure to have what you need. Visit Belchamps Scout Camp for a fun and exciting camping experience. Whether you want to camp in one of our campsites, hold a campfire or have all the fun of the outdoors whilst staying indoors overnight, Belchamps caters for all your. 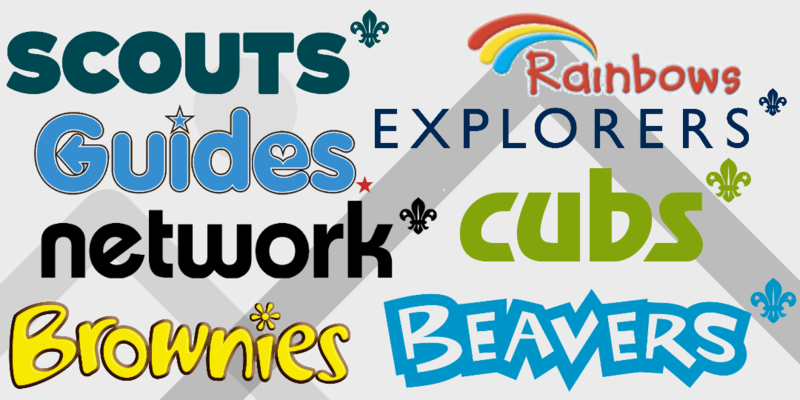 Belchamps isn’t just about Scout and Guide groups, since we opened we have welcomed all other uniformed youth organisations, . 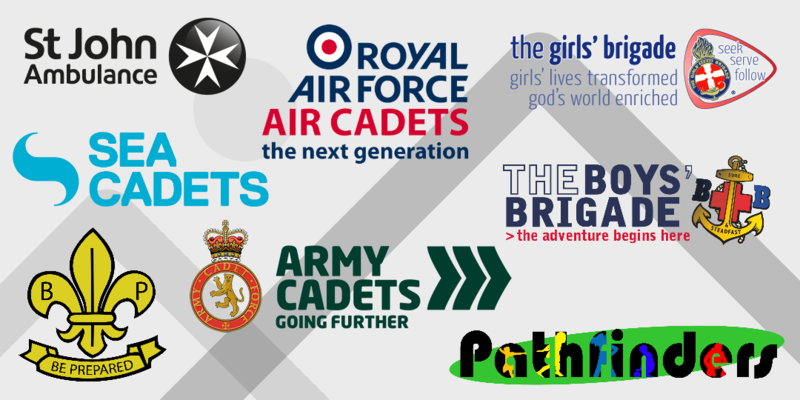 We regularly have Air, Sea and Army Cadets as well as Boys and Girls Brigade and a great over night for D of E Groups. Looking for something different for your next venture? 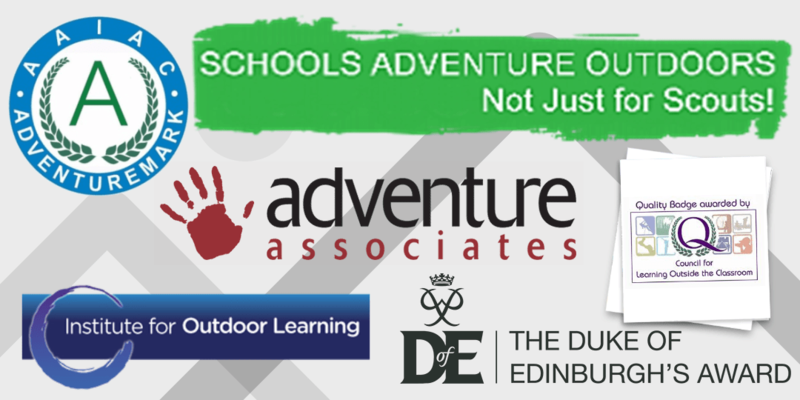 We offer great residuals and activities and we believe every young person should have access to adventure. A Single entrance into the site, monitored by CCTV, it’s safe and secure. Not to be missed JOTA & JOTI is an annual event where thousands of Scouts and Guides from all over the world make contact with each other through amateur radio & Internet. 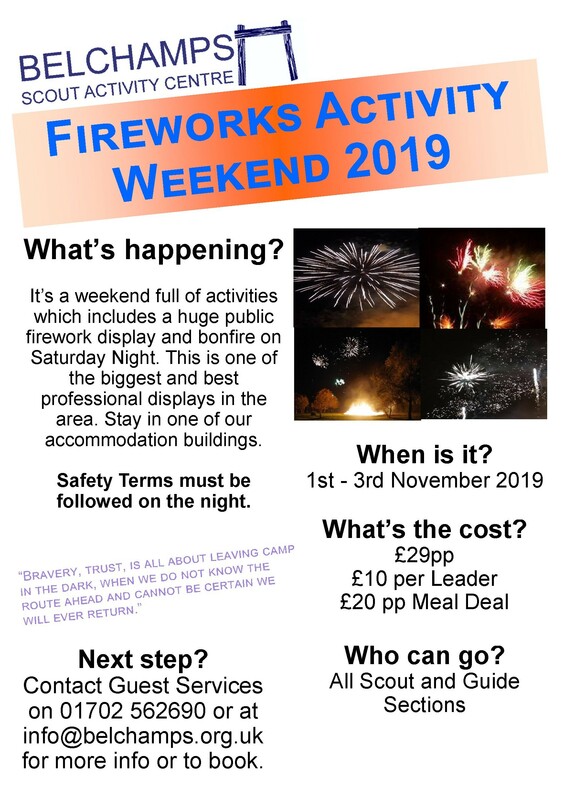 Campfire, JOTA Stations and JOTI PC’s, Scout Link, JOTA TV, Teamspeek, World Scout Bingo, Communication Badges, Activity Base’s, Radio Chase, Wide games, Site Activities, Classic Arcade Night, Film Saturday Night and so much more! 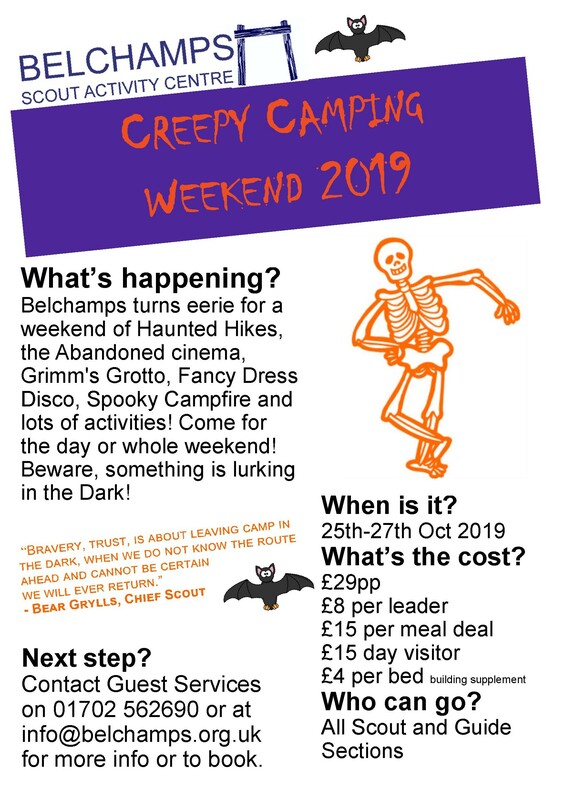 (CAB) week-long Multi Activity Camp with a mini Jamboree feel and Cubs, Scouts, Explorers, Network, Brownies, Guides and Senior Section are going to have a great time! 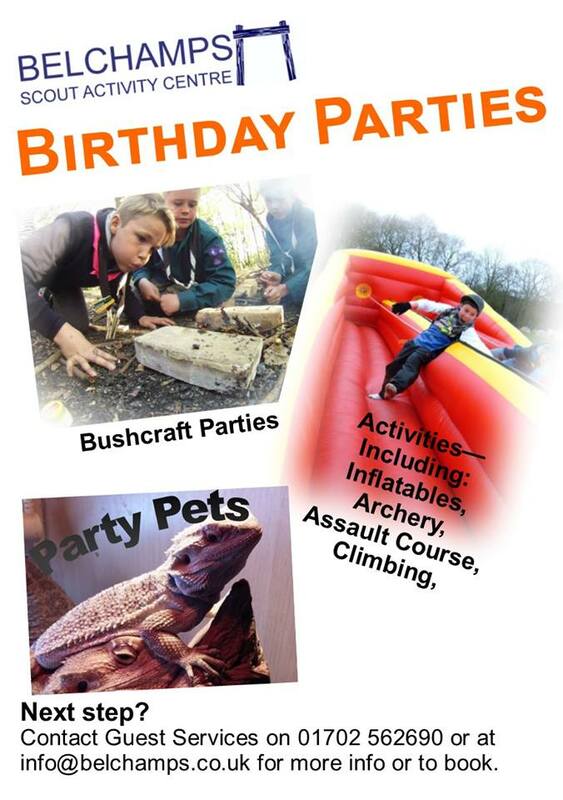 Take part in all of our best activities including Mobile Zip, Gyroscope, Rolling Rock, Coconut tree climb, Bungee trampolines, huge inflatable zone, mini digger, laser tag, laser clays, Giant Scalextric, Spider mountain. High ropes zone, axe throwing, and lots lots more. Two Displays and ONE BIG BONFIRE! Open to all members of the Public, Proceeds help Belchamps to provide a range of high-quality activities to young people. There will be entertainment, inflatables, refreshments, games, stalls, food stands, the best display in the area and a huge bonfire. Sign Up to our Newsletter and get News and Special offers. 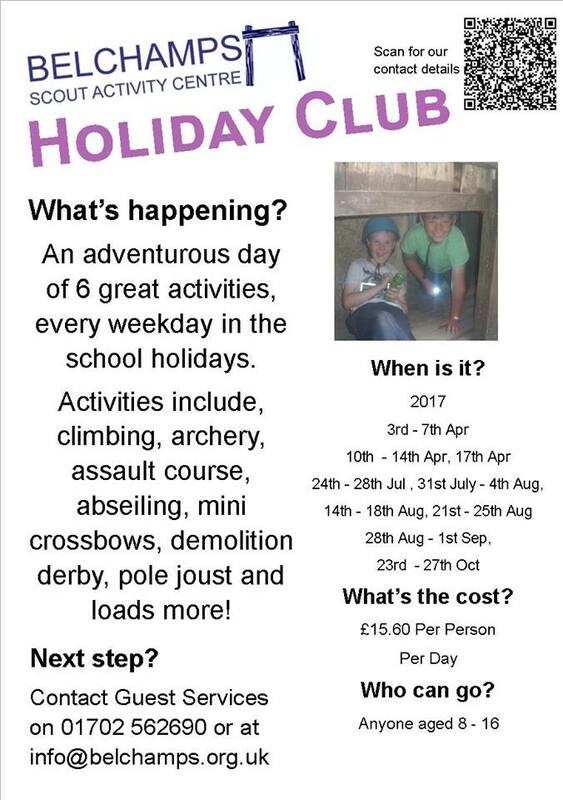 Starts Monday - Not to late to book, call 01702 562690*NEW* Our Weekday Activity Clubs start on the 22nd April 2019. Our new clubs run half termly and work out at just £5 per week. The Big Egg Hunt - Ends Monday. Thank you to everyone who has been so far, another record breaking year. Belchamps JOTA JOTI | JOTA JOTI at Belchamps - Join these amazing international jamboree event taking place around the world simultaneously. Cubs can take part in Navigation, Naturalist, DIY or Chef. 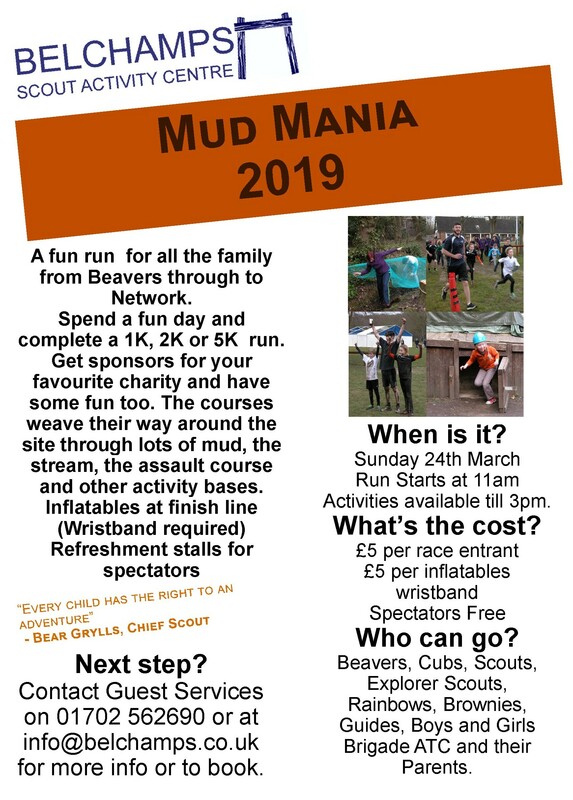 Bring your Beavers to this fun weekend with the objective of gaining a badge. 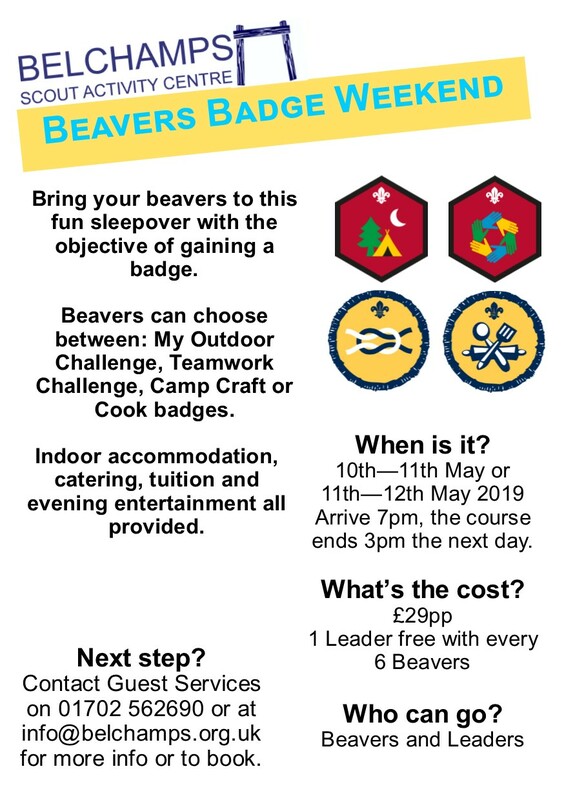 Beavers can choose between Cook or Camp Craft Activity Badge or Outdoor Challenge or Teamwork Challenge. Indoor accommodation provided, all catering, all tuition, and evening entertainment. 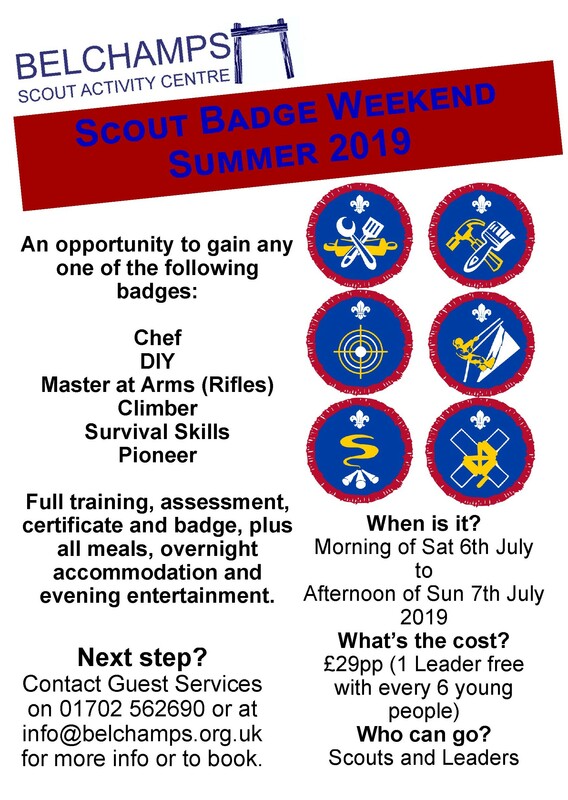 11th May 2019 2 pm till 9 pm Open to Scouts, and Guides and their leaders. Learn how to light a fire using a flint and steel, backwoods cooking, make shelters, learn how to filter water and more. Fully catered. 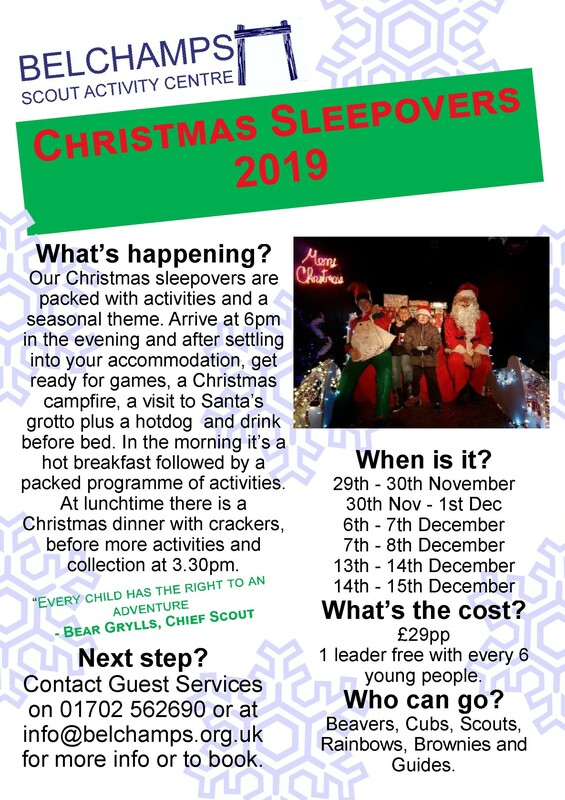 Open to Cubs, Scouts, Explorers, Guides and senior section and their leaders.